Me…a white van man…whouda thunk it? I have already mentioned in despatches that I never thought I would have owned a .com…and now I do. When I lived in the UK there was always the dubious “legend” of the white van man (WVM)…someone who drove out of the darkness and invigorated (for the want of a more appropriate word) the pulse of the daily commute. Their contribution to daily life was not always viewed in a very positive way (just ask fellow commuters and road users who have had to share traffic networks with WVM’s on a deadline!). indeed, I’ve had a few near misses with WVM. And now, a couple of years later and 4400 miles in a westerly direction (depending upon your starting point :-)) I have moved out of the SUV and joined the ranks of the Canadian WVM. The difference here is that the Poochmobile will always be seen in a positive light by everyone involved with the Pooch Walk…a sign of fun, frolics and professional care with a smile. As a minimum that will always be the aim. 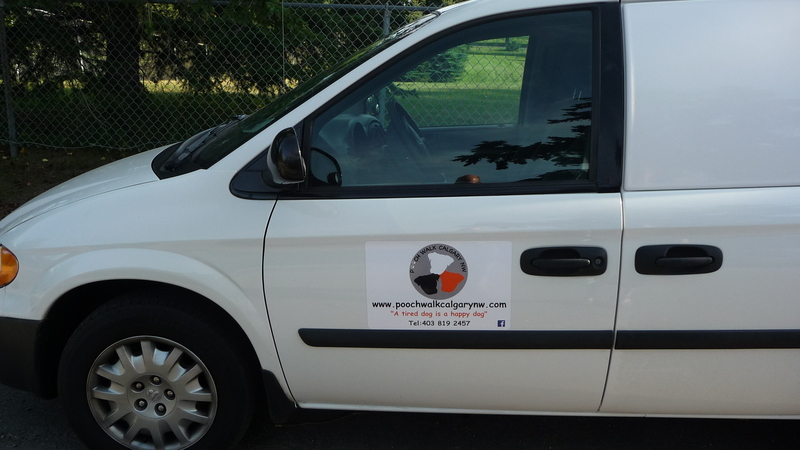 The Poochmobile…all that a white van should be. 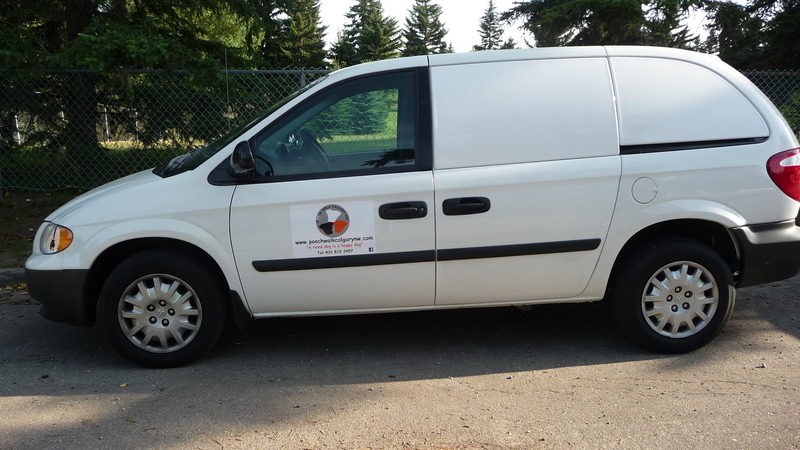 The Poochmobile…the message on the door says it all…. But still, me, a white van man…whouda thunk it? This entry was posted in Dog Walking, Dog Walking Resources, Dogs, Life and tagged .com, Business, Canadian, dog walking, England, legend, pooch, pooch walk, Poochmobile, UK, van, white van, White van man, WVM. Bookmark the permalink. ← It never ceases to amaze me what can be found….